Jessica and James were married at their Hillside Farm wedding in Norco, Horsetown USA, in the most charming, rustic, cowboy country wedding I’ve ever seen. It was a fantastic compilation of rugged personal details, solid family values and cowboy boot stomping good times. Jessica arrived a few minutes late but was calm and collected. She was ready to marry the cowboy of her dreams. James buttoned up his shirt and vest and casually finished getting ready as his friends laughed and sang songs. There was no stress on this day; they all knew. This city girl was made for their cowboy. Jessica and James’ love is one that inspires, uplifts and encourages others that love like this exists. The way James and Jessica look at each other and hold each other and simply touch each other communicates so much about their love, but what really sealed the deal for me was when the speeches came around. Their friends and family went on and on about how outstanding these two are as individuals and how even better they are together. It was clear to all, they were made for one another. 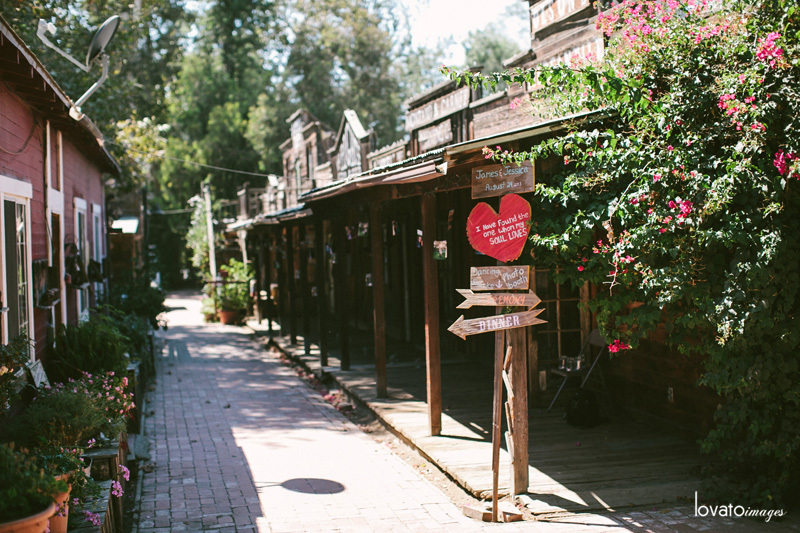 Hillside Farm is a totally groovy little hidden gem in Norco where they’ve recreated a old country western town complete with a saloon and general store. The details around this place were amazing. Props to Jessica and James for creating tons of awesome little hand painted signs throughout their wedding decor, but major props to Hillside for this fun wood sign that hangs all the time! I love how everyone gathered for a prayer before the ceremony. Back to the details, a garden in a bed frame? I love you, Hillside! Okay guys, hey, look over here! I LOVED the lace peeking out from the top (and bottom!) of Jessica’s dress. So classic. 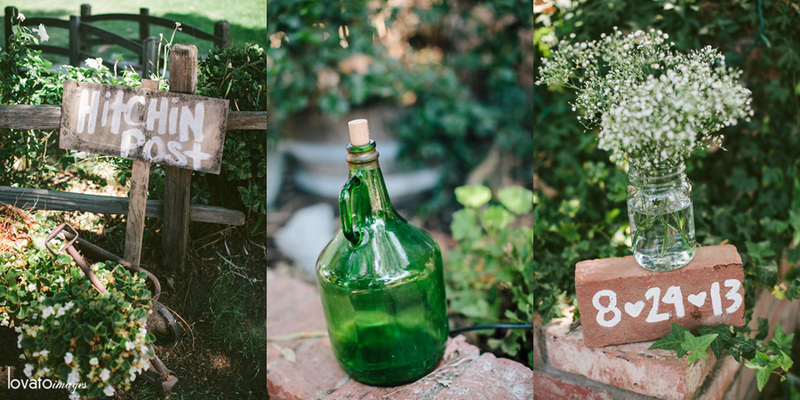 But then back to the details by Jessica and James…how fun are their custom mason jars and pie tins for plates? So country! And then, those boots? Were made for DANCIN!